There is a restaurant very close to my work and school. It is a wonderful place full of magic and deliciousness. There are multiple locations throughout my wonderful city and I am so sad that I only recently discovered their treats. 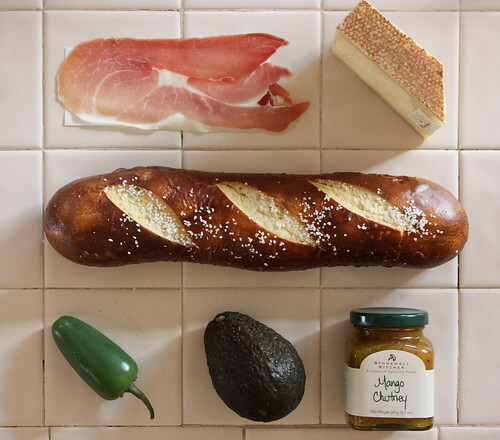 Sadly, these sandwiches are $10 and at prices like that, I really can’t afford to eat there as often as I’d like (which is every day for every meal if you were curious…) So when I came home I decided to make my own version of my favorite sandwich from Hannah’s Bretzel. Soo this is my version of Sergio’s Special. For the purpose of my blog, we’ll call it Malori’s Special. Oh yeah. I just did that. 1) Spread on your mango chutney to half of your bread first. 2) layer all of your other ingredients onto the bread. 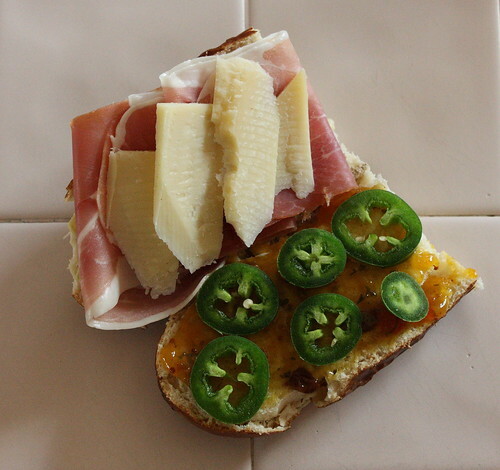 I’d suggest going light on the jalepeno because if you don’t the sandwich may or may not set your mouth on fire. Live and learn people…live and learn. Mmm, sounds good! Lovely photography in this post, especially the first picture! oh that just looks so yummy! this looks really good…. but i would have to skip the jalapeno! i'm a baby when it comes to spicy foods! 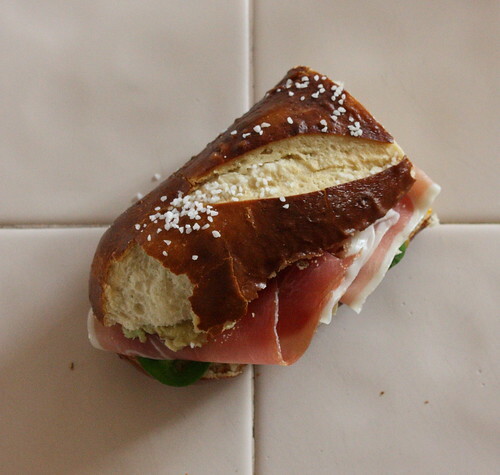 Mmh…love pretzel bread! Reminds me of Germany! And the proscuitto and the cheese…looks like heaven!! I can taste it…mmh…!! !